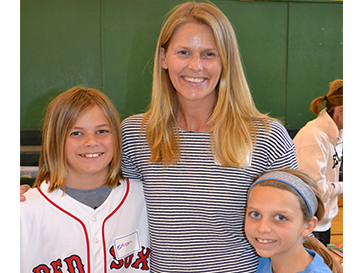 Together, women can have a profound effect on the lives of Boston youth. 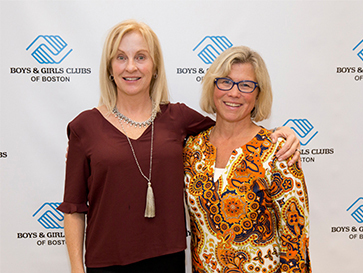 The Artemis Circle brings the energy and passion of like-minded women together to collectively make a difference in the lives of Boston’s youth by supporting Boys & Girls Clubs of Boston (BGCB). This initiative enables women to be involved in a way that works best for them. Through fundraising, volunteering through the Sandra M. Edgerley Family Engagement Series and our collective voice, the Artemis Circle supports BGCB’s commitment to help all children, especially those most in need, discover their talents, and work towards achieving their dreams. JOIN US! 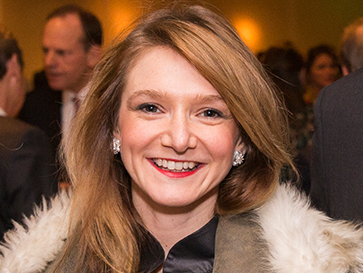 The Seventh Annual Artemis Circle Spring Luncheon will take place on Tuesday, April 9. Visit the event website for more details. Read on for more information about events and initiatives, and follow us on Facebook for frequent updates. Please contact Gena Ricciardi with questions, or to find the best way for you personally to make a difference, at 617-994-4750 or gricciardi@bgcb.org. We care deeply about the potential of children and believe they all need a place to go where they feel safe, cared for, challenged and respected. Please join us. 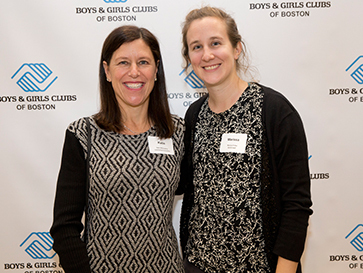 Each year the Artemis Circle hosts a series of events to bring like-minded women together in support of Boys & Girls Clubs of Boston. Friends enjoy cocktails and conversation at the Fall Gathering while learning about BGCB programming, with a new focus area each year. In December, the Sandra M. Edgerley Family Engagement Series brings Artemis supporters and their families together for the Holiday Service Day. 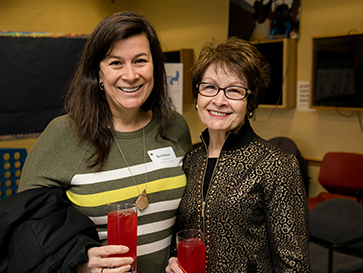 For more information about Artemis Circle events, scroll down for in-depth recaps and check out these photos from past events. 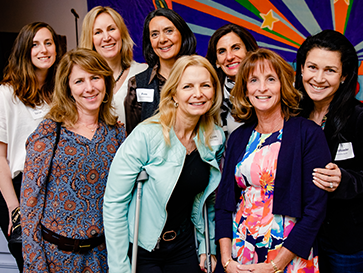 The Artemis Circle will host its Seventh Annual Spring Luncheon on Tuesday, April 9, 2019 at the Berkshire Partners Blue Hill Boys & Girls Club in Dorchester. More than 200 women will come together for an inspiring afternoon featuring keynote remarks by Quincy Miller, President and Vice Chair of Eastern Bank. Visit the event website for more details and to RSVP!